PrestaShop takes the leap! 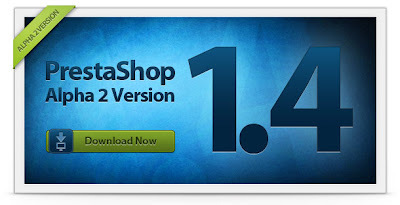 Discover today PrestaShop v.1.4 alpha 2. This new version, real milestone for our software, contains more than 50 new features! New partners joined our solution to help you in every important step of your online activity: customer relationship, payment, marketing, shipping… Our team has also developed a lot of new modules expanding again the features richness of PrestaShop. Discover in this newsletter a selection of key features that make PrestaShop 1.4 an outstanding version! Please note: this version is currently Alpha 2, so it should not be used in production. Dear contributors do not hesitate to test this version and to report us your comments and suggestions!